Skylark Blog: How Much Will my Divorce cost? How Can I Pay for it? How Much Will my Divorce cost? How Can I Pay for it? The one question that everyone asks at the end of their initial divorce consultation is "how much is this going to cost?" And with good reason, because cost is a valid concern, especially for many of our clients who have lower or middle class incomes and lifestyles. Unfortunately, the answer is vague and unsatisfying because it depends on so many factors. I try to provide clients at the initial consult with some idea of what I expect the range to be for their case based on what I've learned during that brief time. But some of the factors are truly unpredictable, most significantly how much the other side wants to fight. 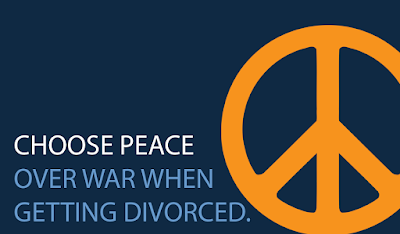 There are many ways to reduce the cost of a divorce. In some cases, where both parties are well-informed and willing to cooperate, mediation can be a cheaper option then hiring two lawyers for the whole process. Even if you both have attorneys, following the court Rules and providing documents and other information in a timely fashion can help reduce the costs. For example, just spending the time to draft a complete Financial Statement saves your attorney time having to walk you through each individual question. Unfortunately, if your spouse does not cooperate with the court Rules and Orders by trying to hide assets, or delaying the disclosure of documents, the costs increase because your attorney has to do more work to chase down the information necessary to advise you. This can be frustrating for clients because it means they do not have control over some of the reasons that attorney's time (and therefore fees) can increase significantly. Because family court is a court of equity it is possible to request that the opposing party pay for fees that are due to their delay or wrongdoing, but often these requests are denied or ordered only partially. So what do you do if you don't have the funds to pay for divorce counsel, or don't have access to the funds because your spouse controls the finances? For those with significant marital estates, a recent New York Times article has highlighted the latest in divorce funding options: companies that invest in your divorce. Of course, these companies request a contingency fee in exchange for funding your legal fees (something which attorneys are not allowed to do in divorce cases pursuant to the ethics rules). Because they expect a contingency, these companies only invest in high asset cases, one of the owners describing their ideal case as one with two to five million dollars in marital assets. For many of our clients and probably many of our readers, these figures are not realistic. However, if you cannot pay for a lawyer there are a number of options for you to still obtain legal advice. There are numerous legal aid services that you may qualify for, and there is a webpage that contains a directory of these services available in Massachusetts. In addition, it is possible that the Judge will order your spouse to pay your legal fees if he or she has control over assets that would help you pay for counsel. This request will depend on the specific facts of your case and the availability of funds. You may be able to find an attorney who will take your case and file such a Motion based on a small retainer and the likelihood of receiving further funds. Also, many attorneys offer a free or reduced fee initial consultation. Even if you are unable to eventually hire that attorney, the initial consultation could still provide you with invaluable information regarding your rights and obligations in a divorce case. Finally, there is also a Lawyer-of-the-Day program in many courts in Massachusetts. As part of that program an attorney volunteers their time for the day to answer legal questions and help potential litigants fill out forms in the courthouse. If you plan to meet with the Lawyer of the Day try to get to the Courthouse early (it opens at 8:30 A.M.) because the line can fill up quickly on a busy day and sometimes they only stay until 3:00 P.M.